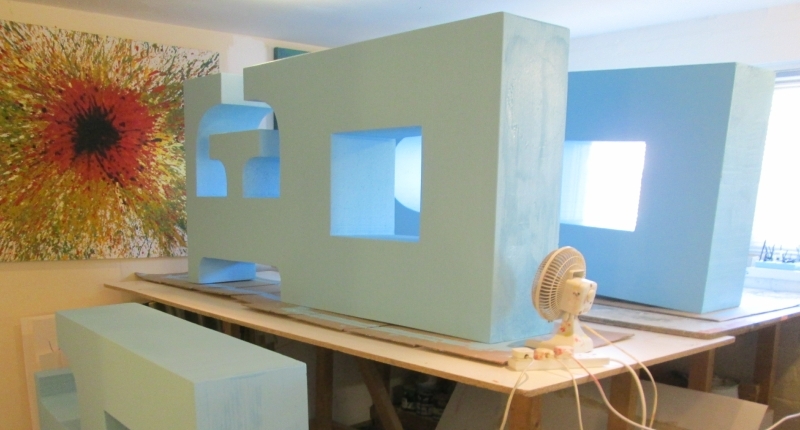 large painted polystyrene shapes for an exhibition display. Top half had a letter shape with the bottom half being a block with a section taken out to hold products for display purposes. The polystyrene was given three layers of paint to produce the required finish. Approximate size of each shape 1000mm wide by 2000mm high by 300mm thick.